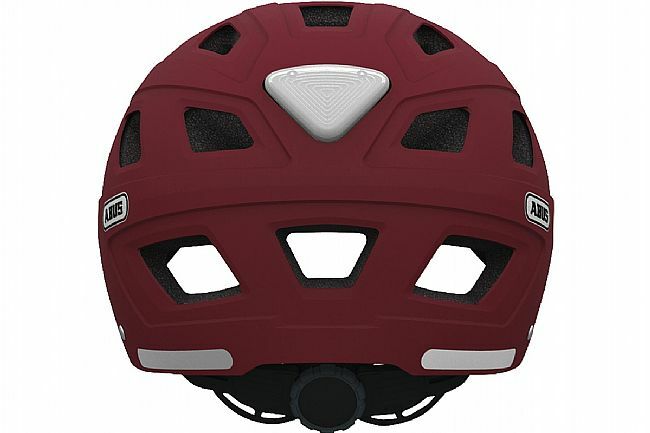 The Hyban from ABUS is a feature-packed helmet that blends the performance of high-end sports helmets with the styling of an urban helmet. The ABS hard shell will stand up to the daily abuses that comes from both riding and living in the city. 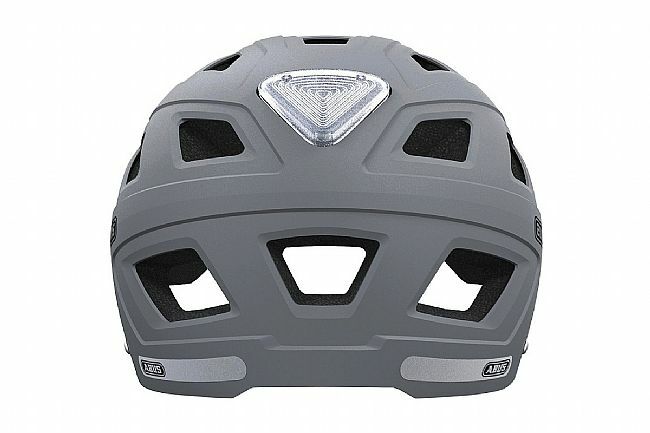 Visibility and ventilation are incredibly important factors for any urban helmet, and the Hyban has it in spades. Scotchlite™ accents along the rear of the helmet provide always-on reflectivity, while the integrated LED rear light is positioned high up to provide 180º of visibility. Keep a cool head with 18 air vents arranged in an inlet/outlet pattern keep cool air flowing in, while the mesh netting up front keep the bugs out. 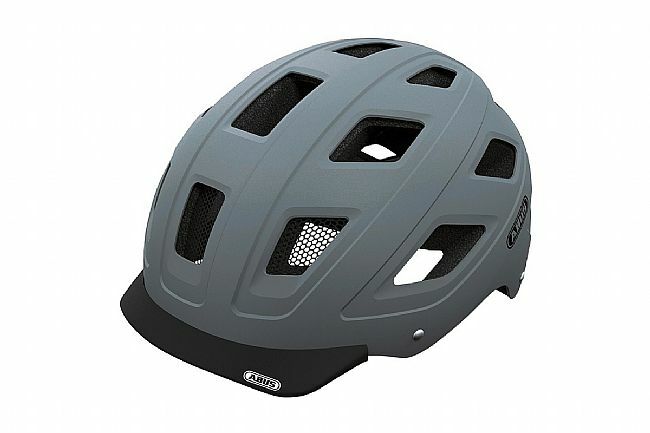 A removable visor provides protection from dust, wind and rain. Keeping everything nice and snug is the Zoom Evo Easy retention system and quick-adjust soft touch straps. Scotchlite™ accents and an integrated rear LED light. Zoom Evo Easy indexed retention system. Great fit, stylish design & safety! I use this to bike commute, breathes well, the visor protects against sunlight, the quick adjust works smoothly and I like the added feature of the built-in light in the rear for safety. Extremely lightweight & stylish!